Decorative liturgical cords and braids are an important part of the Orthodox Church as they are used for various purposes. Our website stocks wide varieties that have a general purpose and can be used for anything, as well as those that have a very specific purpose – like vestment trimmings for example. Our inventory includes cords made of rayon, metal cords and gold cords and silver cords. These cords are available in varying widths and designs and are sold by meter, so that one can order exactly how much they need and you are not bound by preset lengths. Our cords fall into 3 basic categories – plain, twisted and braided. These 3 varieties have variations within themselves. Our cords are made completely of rayon or metal, or even a combination of both so that you get exactly what you are looking for. 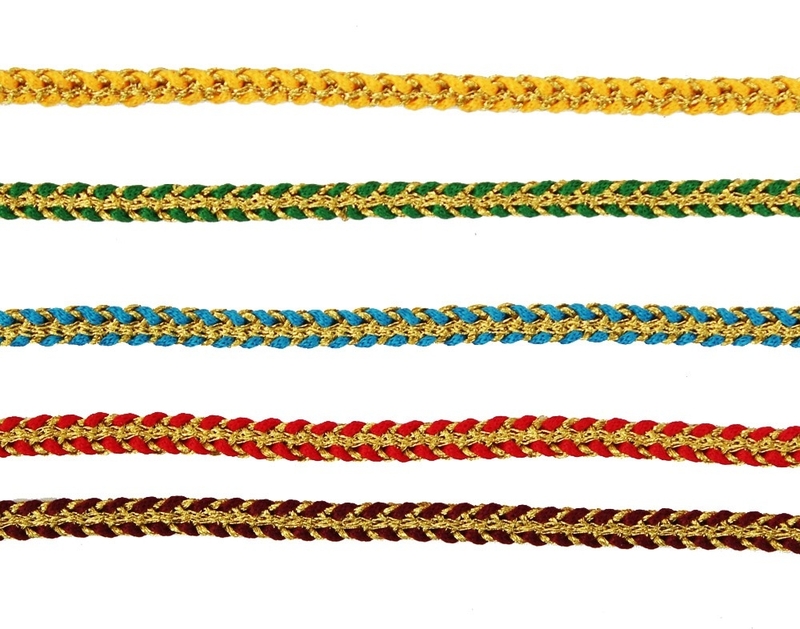 We also have a range of cords that have been created specifically for vestment trims. This range of braided cord comes with options in colors as well. 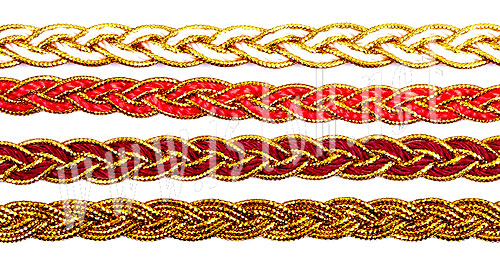 You can choose from plain gold to claret/gold, pink/gold and red/gold. 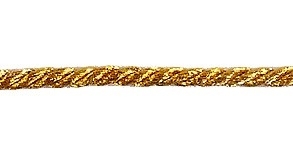 Ordering decorative cords from our website for your Orthodox Church needs is simple. All you need to do is figure out how much of vestment cord you need and what you need it for. The biggest benefit of ordering liturgical cord from us is that you could save up to 68% on the cost per meter! We can offer you these rates because all of our pricing is wholesale based. What’s more? If you register with us as a wholesale member, you are also awarded bonus points for every purchase you make. We believe in keeping our customers happy and satisfied and therefore you will never find that quality of service or product is an issue with us. Place and order with us and you will not be disappointed.